Jimmy Cricket will be talking about his famous Letters from Mammy and how he came to write his first comedy play at a special event in a Lancashire town at the weekend. The well-known comedian is taking part in the fifth Festival of Words, What’s Your Story, Chorley? on Saturday (30 March). 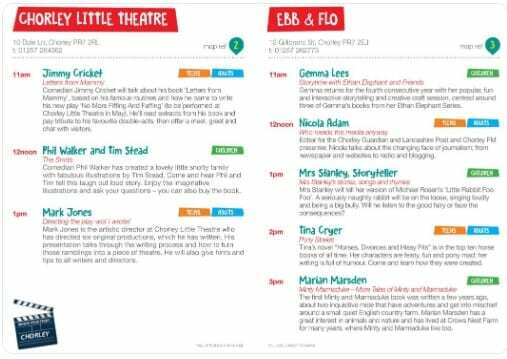 Read more here about Jimmy’s session, which takes place at Chorley Little Theatre between 11:00 and 11:45am. Jimmy’s play, No more Fiffing and Faffing, had its debut last September at the Blackburn Empire Theatre and he will be back at the Chorley Little Theatre on 19 May to perform it there as part of a North of England tour. All-round entertainer Jimmy, who wrote the play, also appears in it, along with Jonathan Young from The Bachelors, and actor Colin Meredith, who has made several appearances in ITV’s Coronation Street over the years.